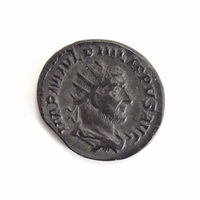 Constantine I (306-337 AD), Constantinople Commemorative, bronze AE follis, Constantina (Arles) mint, 332-333 AD. 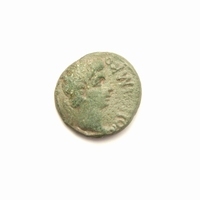 Obverse: CONSTAN-TINOPOLIS, laureate and helmeted bust left, holding sceptre across left shoulder. Reverse: Victory standing left on prow, holding transverse sceptre and leaning on shield, dot in wreath in the left field, PCONST in ex.